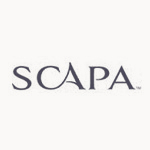 Scapa Distillery is located on the island of Orkney, and lives somewhat in the shadows of its neighbouring Highland Park. Founded in 1885 by Macfarlane and Townsend at Scapa Bay, it was used as a naval base for the British fleet during both World Wars, before being mothballed in 1994. In 2004, the distillery underwent a Â£2 million refurbishment and was taken over by Pernod Ricard who helped raise the profile significantly.